An infographic by Backblaze, a cloud storage company, predicts that by 2020 one third of the entire world’s data will be moving through the cloud and enterprises will have spent nearly $191 billion on cloud services. The cloud is the future. It beats the inconvenience of physical storage devices. It makes data sharing far easier than it has ever been and it costs much less than physical storage. But no matter the perks, entrusting a third party with your data can hardly be free from concerns. Safety, of course, is the primary concern. Let us assuage your fears with some details of the security practices used by cloud storage providers. How Secure Is Your Data on Cloud? The software infrastructures of the best cloud vendors often have monitoring algorithms integrated into them that detect suspicious activity. These are the first line of defense against any threat and alert the security team if they find one so that immediate action can be taken. Encryption is a process whereby data is scrambled into gibberish and can only be reverted back to its original form using a key. Cloud companies employ strong encryption algorithms to protect your data. Some even use military grade encryption. So, when your data is at rest or in use in the cloud, it cannot be understood by someone who does not have the key. Your data is also safe when being transferred to and from the cloud (called data in transit). 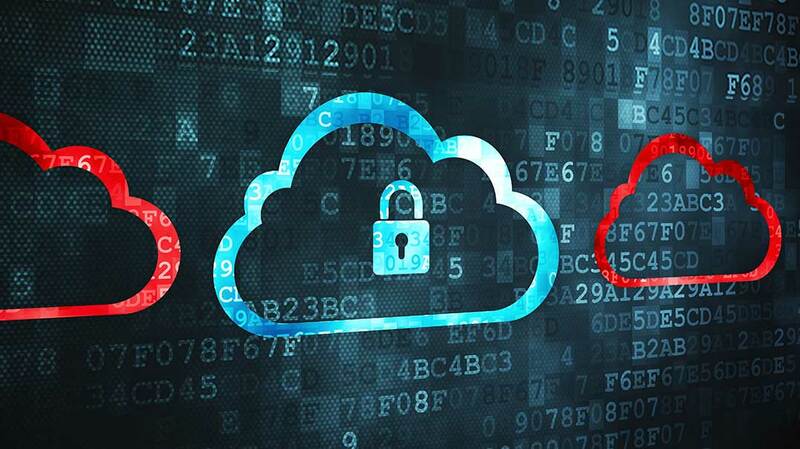 Cloud companies use Secure Sockets Layer (SSL) and Transport Layer Security (TLS) protocols so that users and the vendor can authenticate each other first and then confidentially communicate. In short, your data can’t be sniffed over the internet. Encryption protocols are taken very seriously by cloud vendors as without proper implementation of them, they cannot meet the compliances mentioned before. If they cannot meet those, they cannot stay In business. While encryption is not a 100% fool-proof, it needs a very huge amount of computing power to decrypt the data without a key so it keeps your data safe. A strong hashing function for example bcrypt, almost irreversibly changes the password you enter into a completely different output called a hash digest. You need a very large amount of processing power to even try going back to the original password from the digest. At the cloud company’s end, hashing functions are used to protect passwords. All the passwords are stored in files in the form of hash digests instead of plain text. If anyone gains access to these files, they will only get the hash digests, which cannot be used to access associated accounts or to get to original passwords. But hang on! If the storage provider stores your passwords in irreversibly changed forms, how do they verify your password when you enter it? Well, each password has its unique hash digest. When you type your password, your input is put through the same hashing function, turned into a hash digest and then compared against the hash digest that is already stored with them. If they are the same, you are authenticated. Genius, is it not? Leading vendors provide the feature of two-step authentication, that requires users to submit a code sent to their personal phone number or email in addition to the password in order to log in to their account. This makes extra sure that is really is you who is trying to log in. One of the greatest features that cloud storage offers is reliable back up. Services practice redundancy by storing up to three copies of your data on different servers often in different locations. So even if disaster strikes, your data can survive it. This is also excellent protection against malware like ransomware. These can be insidious in their operation and can corrupt your files storage providers usually allow users to restore files to a date back in time so you can reset everything to the date before everything got corrupted. CSPs do everything they can to prevent data theft or corruption and they keep updating their security protocols to the latest standards. While they take care of that, you are responsible for a few things too, when it comes to protecting your account. CSPs cannot be held accountable for lax security on your part. This is why there are guidelines to be followed that companies issue themselves. Before we get into those, it is important that you put some thought into the provider you choose. Do not go about it callously because you would be putting your data into their hands. Conduct thorough research on the credibility of different companies. Evidently, an established reputation means the company has earned its clients’ trust and they can vouch for its dependability. Even after you have signed up with a company, you should periodically monitor and verify the company’s practices. Construct a good password. Include a combination of letters (both lower and upper case), numbers and characters. Make sure that you are not keeping commonly used words as passwords such as the name of your country. Also, do not use personal details in passwords. Hackers are smart. They can easily find out personal information. Do not re-use passwords across different sites. Once you have constructed a good password, do not use it for any other account except your cloud account. Using that same password on other websites dilutes its security. These websites could get hacked, leaking your credentials and leading the hacker straight to your cloud data. A CSP cannot vouch for the security of any other service except itself. Keep that password only for the cloud! Turn on two-step authentication. It is a free service and it is there for a reason: to provide an extra layer of security against breaches. Go zero intelligence. If you want to go all out in making sure no one sees your data but you, you can sign up with a vendor that would allow only you to keep the encryption keys. Apart from pCloud, iDrive and Mega are two more examples of zero intelligence CSPs. Encrypt your data on your own first. This is an extra step but it is helpful if you feel particularly uneasy about uploading your data to the cloud in its actual readable form. There are various apps that can let you encrypt your data on your own before uploading it to the cloud. This makes extra sure that no one can peek into your private files. Here is a list of some of the best apps to use for this purpose. Ensuring the safety of your cloud account is a joint effort at the end of the day. The storage providers have highly skilled teams dedicated to security alone. These teams constantly strive to prevent anyone from messing with your account while you follow the necessary guidelines to make sure you don’t unwittingly give access to the wrong people. These two together can provide pretty tight security to your cloud data and you can enjoy your devices without worrying about running out of space on them. TechFond - Latest Technology | Analysis | Enterprise | Startups | Product Reviews | How Tos: How To Prevent Cloud Storage From Hacking?